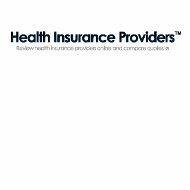 An American Income Health Insurance Company review leads to a company that does not sell health insurance policies. Instead, American Income Insurance Company sells life insurance and supplemental insurance products to specific organizations seeking coverage. Founded over 50 years ago, the company sells policies in 49 states, and two countries. If you are looking for health insurance, you can enter your zip code in the free box now to compare health insurance rates from several top companies. American Income does not sell its life insurance products and supplemental insurance directly to individuals. They serve as a life insurance and supplement company to add additional coverage to credit unions, labor unions, and different associations. Once a contract is reached with an organization, then American Income agents meet one-on-one with the employees or members of the organization. Agents meet with clients not in a group settings, a meeting room, or at work. They meet with individuals, couples, and families in the client’s home. The idea is that life insurance is a very personal thing. Application questions are personal, and income and finances are discussed. Each person will have a different life situation, so agents want clients to feel comfortable discussing their policy. Meeting in the home of client means that they are in a place that is comfortable and safe for them. Any questions that pertain to documents or specific personal information can be answered, because this type of information is typically kept in the client’s home. This also allows the agent a look into the family of the client, so they can better understand those who will be protected by the life insurance policy. Within the life insurance policy and supplemental category of insurance, there are many different types of coverage available. American Income offers seven different types of coverage, as well as some no-cost products to existing customers. Coverage options include general and specific insurance as well as premium waiver products. The life insurance products offered are whole life insurance and term life insurance. Term life insurance is insurance you purchase for a term, such as 25 years. At the end of the term you can renew your coverage or decide to go with another option. If the policyholder dies during the term, the coverage amount is paid to the beneficiary in full. Whole life insurance is a life insurance policy that lasts from the day of purchase until the day of death. There is no renewing. However, whole life insurance policies have some cash value. This means that the premium amount may come back to you in cash form since the money is invested. Whole life insurance does not have as high of a payout as term life and you may do better on your own investing the premium amount, which is always higher than term life. The supplemental insurance offered by American Income is accident and hospital coverage, cancer coverage, critical illness coverage, and terminal illness coverage. These supplemental coverage options are not meant to add to an existing health insurance policy, not to take the place of one. They also provide strike and layoff premium waivers for those who are insured through labor unions. It is true that on a typical health insurance policy things like accidents, hospital stays, cancer treatment, and critical care are covered. However, these things generally have limits that can be reached quickly when talking about long-term care. This type of supplemental insurance is good for older individuals and those with a family history of cancer or other illnesses. Those in a dangerous job could also benefit from supplemental insurance. As a service to its clients, American Income provides several no-cost products. The first one is a child safe kit. This is a kit that parents can prepare so that if their child ever goes missing, all necessary information is ready. It is not a pleasant thought, but being prepared in that type of situation can help save precious time. Other no-cost products include social security benefit updates, an identity theft prevention brochure, a family information guide, group AD&D, and a partners basic discount program. All of these products are meant to help clients gain knowledge as well as save them time and money. If you are looking for a health insurance policy, you can enter your zip code in the free box now to compare health insurance rates from several top companies.